With the establishment of the Binglin writing brush base in Fenggu Town, Mianyang City, southwest China's Sichuan Province, Luo Song, inheritor of the more than 200-year-old "Binglin writing brush making", has accomplished the last wish of his late grandfather after 20 years of hard work, Red Star News reported on April 9. 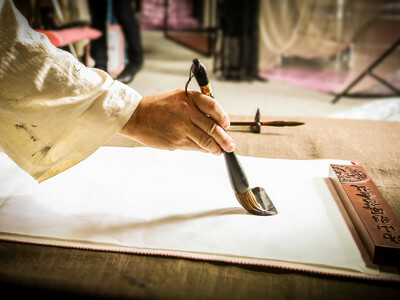 Luo Song, 43, is a sixth-generation inheritor of the Binglin writing brush making technique, which was formerly known as "Luo Bi Ke", a workshop dedicated to making writing brushes that became famous in the mid-late Qing Dynasty (1616 A.D.-1912 A.D.). Luo inherited the technique from his late grandfather Luo Binglin, the founder of the craftsmanship. According to Luo Song, his grandfather started to learn how to make writing brushes at the age of 15, and passed away when he was 85, devoting himself to the method for 70 years. 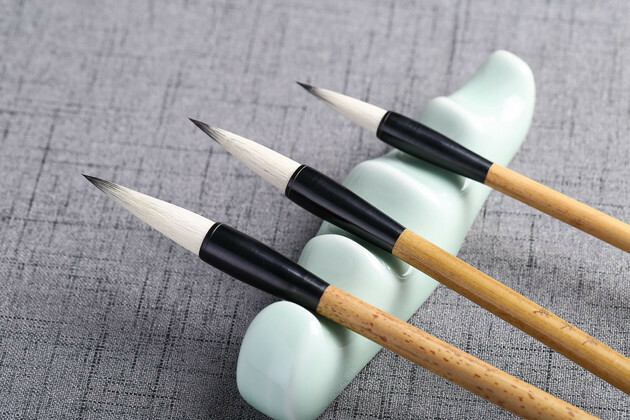 The Binglin writing brush is a household name in the calligraphy circle of Mianyang City. Many people visit Luo Song's workshop to buy custom-made brushes. "Every single procedure used to make a Binglin writing brush is completed by hand. There are more than 70 working procedures for each writing brush, which take over 20 days to complete," said Luo Song, who started to run the business when he was 22. The workshop makes more than 60 types of writing brushes, according to Luo, adding that they make sure every product meets a certain standard. Lou noted that sales of the writing brushes have experienced ups and downs since the founding of the business. "In the 1980s, the writing brush was a quick seller, so we sold more than 100,000 a year," said Luo Song, who continued, "sales hit a low in the 1990s when computers became popular in China, and the number of people learning calligraphy plummeted." In the 20 years following 1990, Luo only sold around 20,000 writing brushes per year, with the sales volume among students reaching 1,000 at most. Luo tried every means to carry on the business and fulfill his grandfather's last wish. "I noticed that though fewer students were using writing brushes, there were still many calligraphy enthusiasts who preferred quality over quantity," said Luo. Things started to improve for Luo when the country began to enhance the promotion of traditional culture and brought calligraphy into classrooms, which meant more people were buying writing brushes. He attracted more customers and witnessed the craftsmanship of the Binglin writing brush become an intangible cultural heritage of Sichuan Province in 2011. "More students are using writing brushes, plus handwriting now has great importance in students' exam papers, so many students are picking up calligraphy. Besides, many people buy calligraphy to decorate their homes, which also brought more customers," said Luo, disclosing that now the sales of his writing brushes have now been restored to their former peak of 100,000 a year. Moreover, Luo has cooperated with Mianyang Disabled Persons' Federation to hire disabled people to work in his base. Now, most of the workers in the writing brush base are disabled. With the popularity of social media, the Binglin writing brush has seen increasing demand and has even been sold to foreign countries. To continue the momentum, Luo plans to open an online store on China's leading online shopping platform JD.com.